Unwilling to accept her death at such an early age, Sara challenges Death to play a game. 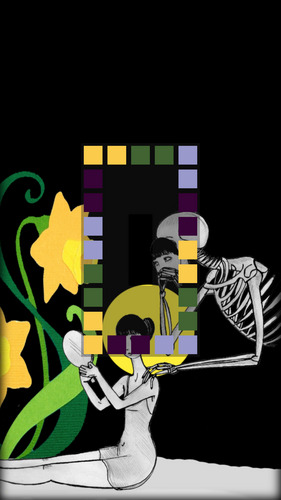 "The condition is that you let me live for as long as I can play". 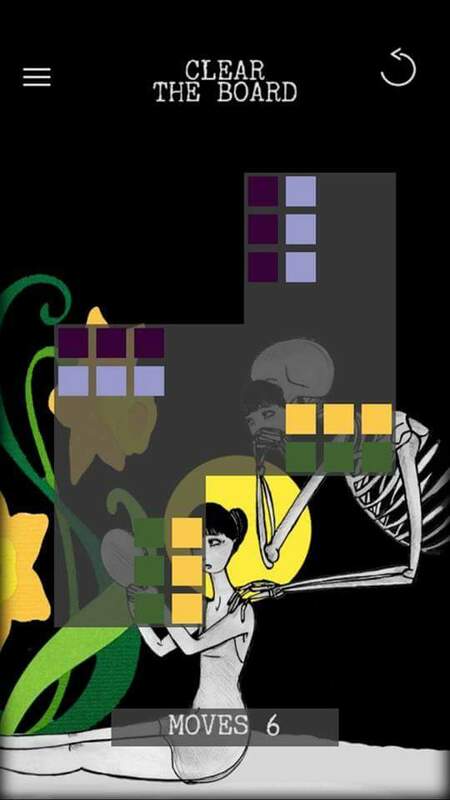 Death accepts the challenge, and so the game begins; a game about and for love. Sara And Death was inspired by an old movie from Ingmar Bergman – The Seventh Seal – and by Sara herself. Sara does exist, I met her when I was studying philosophy mistaking her for another old friend. By chance; best way to find a new friend indeed. Here she plays as my alter ego and the game is about love. Yet it is not a love story. It is an existential catch on love. In a later stage of development I decided to ask Sara to be the illustrator. She shared my same doubts about love, she did a stunning job and inspired major design changes. Its rules are simple but it is not brainless fun; the player is expected to learn by experimenting and thinking. 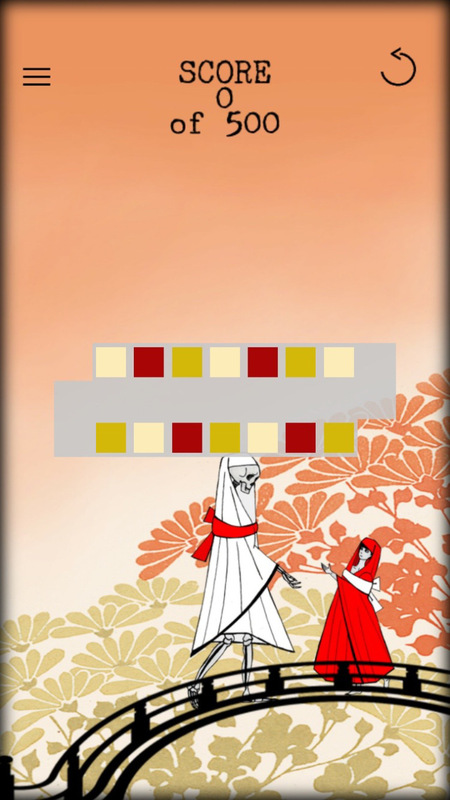 It is not an addictive game. 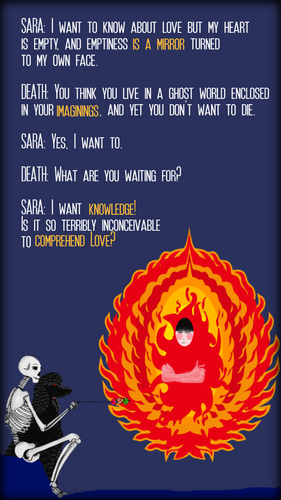 I wanted Sara And Death to be interesting for its difficulty and poetry, something you should savour like a fine desert, not devour like a bag of chips. Sara And Death puzzles were designed on the thinking that we all solve problems differently. 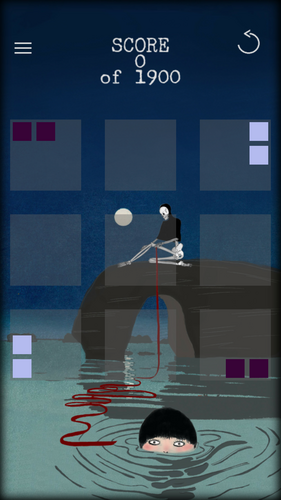 An intuitive player will find harder to beat puzzles designed for logical thinkers, but also the opposite is true. I am personally the stubborn type. 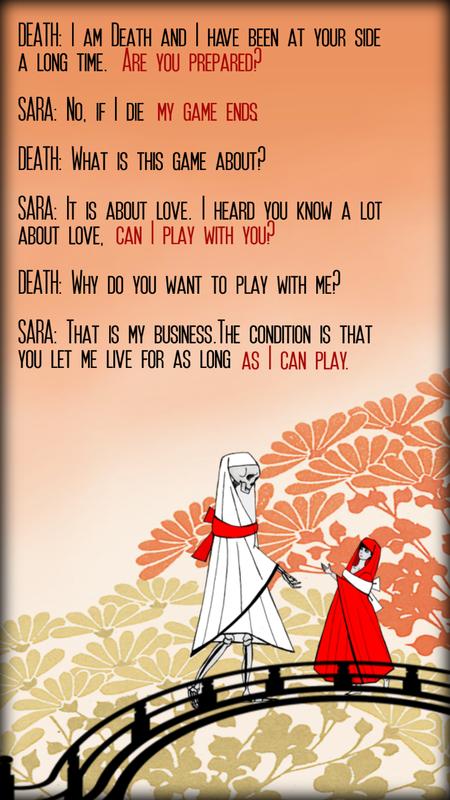 Rather than a linear difficulty progression, Sara And Death demands often changes of prospective on love and on its puzzles.